Night Owls (UK) Ltd will only undertake business under the following Terms and Conditions. These terms are legally binding so please take time to read them carefully. ⬥ ‘Maternity Nurse’ is used generically to describe any suitable person that the Agency may introduce to the Client as a possible temporary employee for maternity and child care services. This could be for work overnight, during the day time, live-in or a variable shift pattern. ⬥ ‘Agency’ meaning Night Owls (UK) Ltd (UK) Ltd acting as a staff placement agent to offer an introductory service to clients wishing to employ a Maternity Nurse. ⬥ ‘Client’ meaning any person approaching the agency wishing to employ a Maternity Nurse on a temporary or full time basis. 1.1 Night Owls (UK) Ltd acts only as a staff placement agency and does not directly or indirectly employ the Maternity Nurse. All Maternity Nurses are introduced to the Client on the basis that they are self-employed and responsible for their own income tax and national insurance contributions. 1.2 The Client agrees to notify the Agency either verbally, electronically (text or email) or in writing as soon as an offer of employment has been made to any Maternity Nurse. 1.3 All details provided by Night Owls (UK) Ltd Agency relating to Maternity Nurses is confidential to any person requesting such information and should not be passed to any third party, either directly or indirectly. 1.4 If any such details are passed to a third party and the Maternity Nurse is contracted by any third party otherwise than through Night Owls (UK) Ltd, this will constitute a breach of our Terms and Conditions and the client so using the Maternity Nurse will become responsible for the full Agency fee for the whole period. 1.5 The Agency reserves the right to use its own discretion with regard to any issues arising from items not included in these terms and conditions. 1.6 No variation to these terms and conditions either expressly or implied may be made without the written consent of the Directors of Night Owls (UK) Ltd.
2.1 Upon receipt of the Client’s confirmation that a Maternity Nurse, introduced to them by the Agency, is to be engaged, and such confirmation being accepted, the Client will be charged the relevant Agency Fee as outlined in the ‘Agency Fee Rates’. The fee must be paid in pounds sterling on or before the payment due date, shown on the Invoice. 2.2 Should the Client fail to notify the Agency and it is found the Maternity Nurse has subsequently been engaged, the Client will be liable for the relevant Agency Fee as outlined in the ‘Agency Fee Rates’. The fee must be paid in pounds sterling on or before the payment due date, shown on the Invoice. 2.3 The Agency Fee will be charged for each day or night period the Maternity Nurse is contracted for the duration of the booking according to the ‘Agency Fee Rates’. 2.4 The Agency Fee will only be charged up to a maximum period of 26 weeks. Any booking beyond this time will constitute a permanent position and other fees will apply. 2.5 If, in the future a client wishes to engage the same Maternity Nurse for another child belonging to the same family, a reduced Agency Fee would be charged at the rate outlined in the ‘Agency Fee Rates’. The only exception to this would be if the Maternity Nurse is engaged in a permanent position (over 26 weeks) and the appropriate fees detailed in the ‘Agency Fee Rates’ would apply. 2.6 The Client agrees that once an introduction has been made, the Client will only make an offer of work to the Maternity Nurse through the Agency. Making a booking directly with the Maternity Nurse or through another agency will be seen as by-passing the Night Owls (UK) Ltd Agency fees and will therefore incur a penalty charge of £500 in addition to the standard Agency Fee. 2.7 The Client will notify the Agency if a Maternity Nurse continues after the contracted period. Any such extension will incur fees at the standard rate as described in the ‘Agency Fee Rates’. 2.8 A fee of six times the weekly net salary is payable to Night Owls (UK) Ltd for a Maternity Nurse who is subsequently employed in a permanent position. Such charges would apply for any working period beyond 26 weeks. 2.9 For any bookings outside a 30 mile radius of Central London (measured from Charing Cross) any travelling costs incurred by the Maternity Nurse, may be charged. 2.10 Payment of Agency Fees are due from the start of the original booking date to the end of the booking date. In the event of any subsequent adjustments to the contract period caused by, but not limited to delayed or premature birth, the Agency Fees will be adapted accordingly. 2.11 In the event of a delay to the start date of the original booking, the Maternity Nurse will be due a payment of 50% of the Maternity Nurse fee for the duration of the waiting period. The Maternity Nurse will be considered ‘on call’ during this time and start the booking when notified by the client. 3.1 Payment of Invoices should be made in pounds sterling by either Bank Transfer (bacs), Cheque or Cash. Payments must be made on or before the payment due date shown on the Invoice. 3.2 If payment of an invoice exceeds twenty one days from its due date Night Owls (UK) Ltd reserves the right to charge interest on any outstanding payments at the rate of 8% per week, until the account is paid in full, in accordance with the Late Payment of Commercial Debts (Interest) Act 1998. If the account is in dispute no interest charges will apply until the matter is resolved. 3.3 Night Owls (UK) Ltd reserve the right to charge the cost of legal expenses, travel and other costs incurred for recovering any outstanding debt. 3.3 Incorrect invoices must be queried within seven days of the invoice date. 3.4 Payments to the Maternity Nurse should be made at the end of each week. 4.1 The Agency’s fees are non-refundable except in exceptional circumstances, to be agreed by the Agency. 4.2 In the event that the Client chooses to cancel a booking that has been agreed prior to the commencement of the contract start date, Night Owls (UK) Ltd reserves the right to charge 100% of the Agency fee for work incurred. In addition 50% of the Maternity Nurse’s salary will be charged for the duration of the booking period to cover loss of earnings. Unreasonable behaviour by the client, their family or their associates, breach of contract by the Client or a change in the contract or other previously agreed elements where said change has not been agreed by the Company such as pay, location and hours (this list is not exhaustive). If no suitable replacement can be found the Agency fee will be refunded on a pro rata basis. 4.4 A full refund of fees will be made if the departure of the Maternity Nurse is due to the unprofessional conduct of the Maternity Nurse. 4.5 In the event that the Night Owls (UK) Ltd Maternity Nurse cancels due to sudden illness or circumstances beyond the control of either the Maternity Nurse or the Agency, resulting in an inability to work of more than three days, the Client should inform the Agency as soon as possible. The Agency will endeavour to find a replacement. In the rare event the Agency is unable to find a suitable replacement, any payment made will be refunded on a pro rata basis. 5.1 The Client will not, during the term of the Agreement and for a period of 3 years from the expiry of this Agreement, without the others’ prior written consent, appoint the Maternity Nurse in any way or cause to be employed, engaged or appointed an employee, agent, consultant or independent contractor. 5.2 Whilst the above restrictions are considered by the parties to be reasonable in all the circumstances, it is agreed that if, taken together they are adjudged to go beyond what is reasonable in all the circumstances for the Agency’s protection but would be judged reasonable if part or parts of the wording of them were deleted or its period reduced they shall apply with such words deleted or with such modifications as may be necessary to make it valid and effective. 5.3 In the event of any breach of clause 5.1, our full Agency fees will become immediately due and payable. 6.1 The client must confirm with Night Owls (UK) Ltd Agency that all details of the booking contract have been agreed between the Client and the Maternity Nurse prior to the start date of the booking. 6.2 The Client must reimburse the Maternity Nurse any reasonable travelling expenses to the interview upon presentation of receipts. 6.3 The Client is responsible to ensure that their accommodation presents no significant risk to the Health or Safety of the Maternity Nurse. It is advised that a risk assessment is conducted before the commencement of the booking. Night Owls (UK) Ltd is not responsible for the health and safety of the Maternity Nurse within the Client’s home, or any other accommodation being used. 6.4 The Client is required by law to ensure that they hold an employers’ liability policy of insurance in respect of the employment of the Maternity Nurse. 6.5 The Client should ensure that they give clear instructions to the Maternity Nurse regarding the care of their child. Where possible, written instructions should be supplied in respect of the administration of any medication or creams. 6.6 The Client is responsible for the instruction and direction of the Maternity Nurse for the duration of the booking. 6.7 The Client is responsible for ensuring the Maternity Nurse clearly understands the needs of their baby and the Clients expectations of the Maternity Nurse’s performance of their duties. 7.1 Night Owls (UK) Ltd Agency does not accept any liability for misrepresentation, loss, damage, injury, delay, claims or expense incurred directly or indirectly as a result of an act or omission by any Maternity Nurse introduced by the Agency. 7.2 Night Owls (UK) Ltd will ensure that all Maternity Nurses are interviewed personally and that full reference checks are carried out before they are registered with the Agency. However, it is the responsibility of the Client to make their own enquiries and checks to satisfy themselves as to the suitability of any applicant. 7.3 Night Owls (UK) Ltd gives no guarantee regarding the capability, character, medical condition, age or suitability of the applicant. The final responsibility for accepting and employing the Maternity Nurse lies with the client. 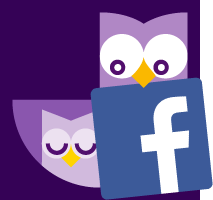 7.4 Night Owls (UK) Ltd reserve the right to publish any comments provided as part of client ‘feed-back’ with regard to the Agency services or the services of specific Maternity Nurses. Initials of clients will only be used in such cases. 8.1 In the event of dissatisfaction with the Maternity Nurse, the clients should endeavour to find a resolution by speaking to the Nurse directly, clearly identifying any concern that they might have. 8.2 If this does not lead to a satisfactory outcome, the client should contact Night Owls (UK) Ltd and put in writing particulars of any grievance or dissatisfaction they may have. This should detail dates and times any event took place as well as descriptions of what happened and what was said. 8.3 Night Owls (UK) Ltd management will meet with the Maternity Nurse within 48 hours to discuss the matters identified. This meeting will constitute a formal hearing and minutes will be taken of all matters discussed. 8.4 Night Owls (UK) Ltd will consider the points raised by both parties. If it is thought appropriate Night Owls (UK) Ltd will meet with the client to discuss the matters raised. 8.5 If no resolution is possible, Night Owls (UK) Ltd will make an informed decision based upon the evidence from all parties. This may result in the Maternity Nurse being removed and if appropriate a replacement found. 8.6 If no satisfactory resolution can be achieved the matter will be referred to an independent arbitrator. 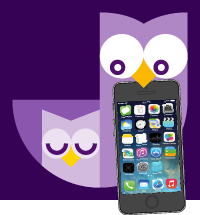 9.1 At Night Owls (UK) Ltd we respect and value your privacy and also the security of your data. Information that you give to us when contacting Night Owls (UK) Ltd Agency will be used only for the provision of maternity and childcare services. 9.2 Your data is stored securely in accordance with the Data Protection Act 1998. All such data stored electronically is password protected and encrypted. 9.3 Night Owls (UK) Ltd will not share any of your information with any other agency, company or business for marketing or any other purpose at any time, unless required to do so by law. 10.1 In the case of clients living outside England, Scotland or Wales, all Agency Fees must be paid before the Maternity Nurse leaves Great Britain. 10.2 All travel expenses must be paid to the Maternity Nurse prior to the booking. This includes the cost of flights, taxis, or public transport. 10.3 Charges for Car Parking, luggage charges, or other charges associated with the journey are payable by the client prior to the booking. 10.4 Cost of Mobile Phone charges during the full period of the booking, will be invoiced to the client on a monthly basis. 10.5 All costs associated with Overseas work are charged in pounds sterling and payment will be required in this currency. 11.1.5 ensure that none of its directors, officers, employees, agents, sub-contractors or advisers carries out any act which, if done by that Party, would be a breach of the provisions of sub-Clauses 11.1.1 to 11.1.4 above. 11.3 Either Party may use any Confidential Information for any purpose, or disclose it to any other person, to the extent only that it is at the date of the Agreement, or at any time after that date becomes, public knowledge through no fault of that Party. In making such use or disclosure, that Party must not disclose any part of the Confidential Information which is not public knowledge. 11.4 The provisions of this Clause 11 shall continue in force in accordance with their terms, notwithstanding the termination of the Agreement for any reason. 12.1 The Agreement shall come into force on the agreed Commencement Date and shall continue for a defined Term from that date, subject to the provisions of this clause 11. 12.2 Either Party shall have the right, subject to the agreement and consent of the other Party and exercisable by giving not less than 30 days’ written notice to the other at any time prior to the expiry of the Term specified in sub-Clause 11.1 of the Agreement (or any further period for which the Agreement is extended) to extend the Agreement for a further period. 12.3 Either Party may terminate the Agreement by giving to the other not less than 30 days’ written notice, to expire on or at any time after the minimum term of the Agreement (which shall be defined in the Agreement). 12.4.8 control of the other Party is acquired by any person or connected persons not having control of that other Party on the date of the Agreement. For the purposes of Clause 12, “control” and “connected persons” shall have the meanings ascribed thereto by Sections 1124 and 1122 respectively of the Corporation Tax Act 2010. 12.5 For the purposes of sub-Clause 12.4.2, a breach shall be considered capable of remedy if the Party in breach can comply with the provision in question in all respects. 13.1.5 each Party shall (except to the extent referred to in Clause 10 of the Agreement) immediately cease to use, either directly or indirectly, any Confidential Information, and shall immediately return to the other Party any documents in its possession or control which contain or record any Confidential Information. 14.1 Neither the Client nor the Agency shall be liable for any failure or delay in performing their obligations under the Agreement where such failure or delay results from any cause that is beyond the reasonable control of that Party. Such causes include, but are not limited to: power failure, Internet Service Provider failure, industrial action, civil unrest, fire, flood, storms, earthquakes, acts of terrorism, acts of war, governmental action or any other event that is beyond the control of the Party in question. 15.1 No failure or delay by either Party in exercising any of its rights under the Agreement shall be deemed to be a waiver of that right, and no waiver by either Party of a breach of any provision of the Agreement shall be deemed to be a waiver of any subsequent breach of the same or any other provision. 16.1 Neither Party shall be entitled to set-off any sums in any manner from payments due or sums received in respect of any claim under the Agreement or any other agreement at any time. 17.1 The Parties agree that with the exception of payment, the times and dates referred to in the Agreement are for guidance only and are not of the essence of the Agreement and may be varied by mutual agreement between the Parties. 18.1 Nothing in the Agreement shall constitute or be deemed to constitute a partnership, joint venture, agency or other fiduciary relationship between the Parties other than the contractual relationship expressly provided for in the Agreement. 19.1 All notices under the Agreement shall be in writing and be deemed duly given if signed by, or on behalf of, a duly authorised officer of the Party giving the notice. 20.1 The Agreement contains the entire agreement between the Parties with respect to its subject matter and may not be modified except by an instrument in writing signed by the duly authorised representatives of the Parties. 20.2 Each Party acknowledges that, in entering into the Agreement, it does not rely on any representation, warranty or other provision except as expressly provided in the Agreement, and all conditions, warranties or other terms implied by statute or common law are excluded to the fullest extent permitted by law. 21.1 In the event that one or more of the provisions of the Agreement is found to be unlawful, invalid or otherwise unenforceable, that / those provision(s) shall be deemed severed from the remainder of the Agreement. The remainder of the Agreement shall be valid and enforceable. 22.1 These Terms and Conditions and the Agreement (including any non-contractual matters and obligations arising therefrom or associated therewith) shall be governed by, and construed in accordance with, the laws of England and Wales. 22.2 Any dispute, controversy, proceedings or claim between the Parties relating to these Terms and Conditions or the Agreement (including any non-contractual matters and obligations arising therefrom or associated therewith) shall fall within the jurisdiction of the courts of England and Wales.